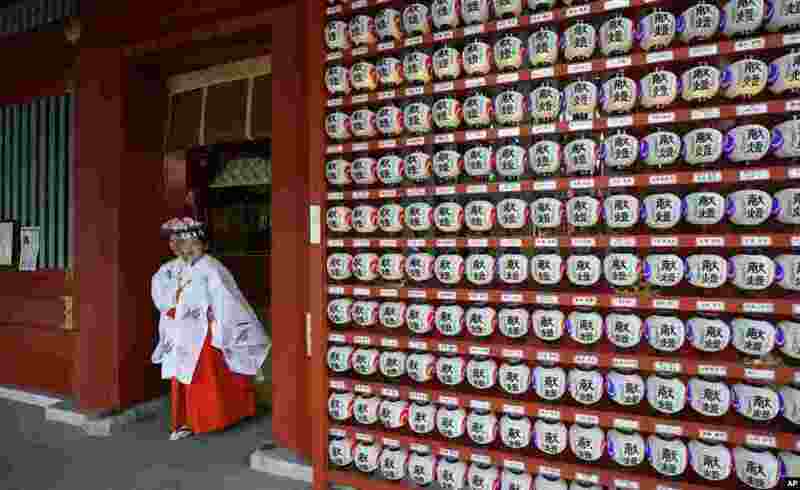 ١ Shinto female attendants come out of the shrine at Kanda Myojin shrine in Tokyo, Japan. 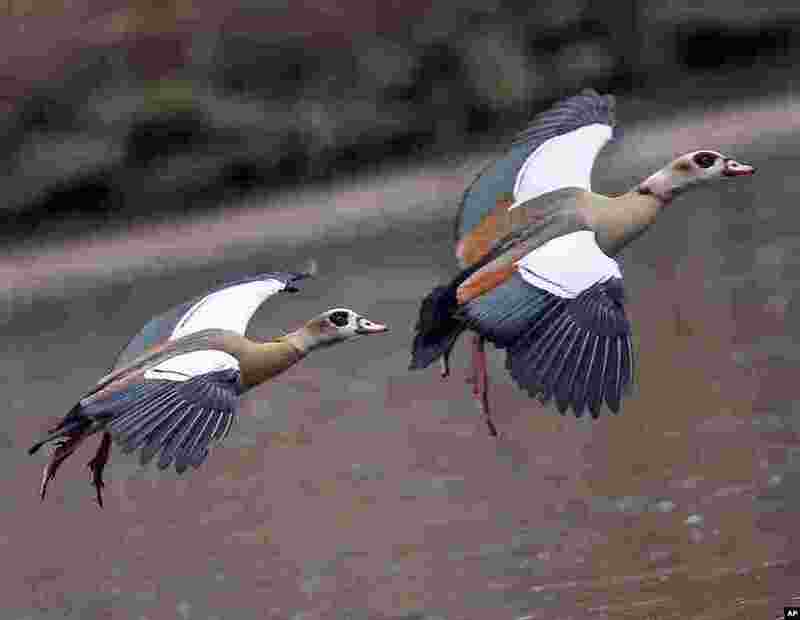 ٢ Egyptian geese fly over a pond in Frankfurt, Germany. 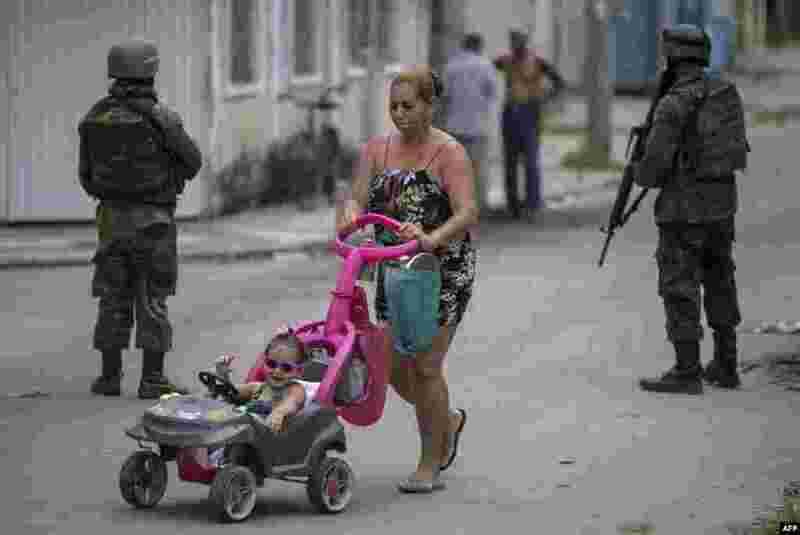 ٣ Soldiers of the Armed Forces, backed by armored vehicles, aircraft and heavy engineering equipment, take part in an operation in the violence-plagued favela of Vila Kennedy, in Rio de Janeiro, Brazil. 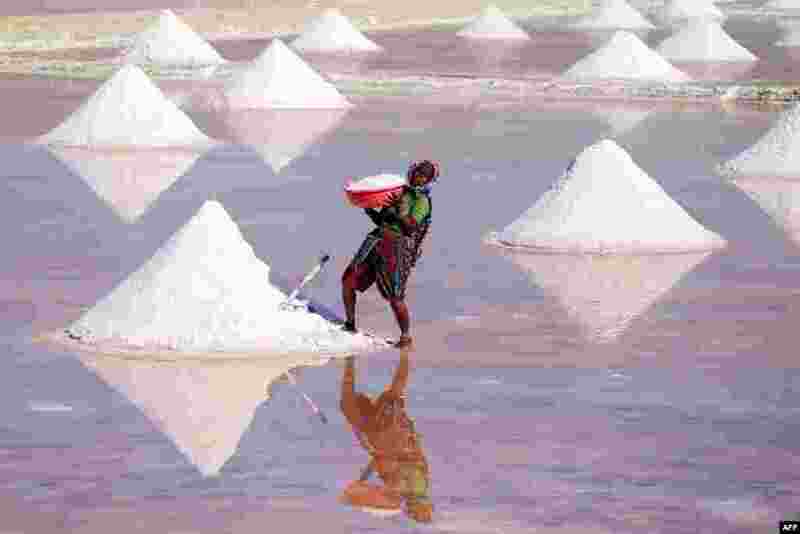 ٤ A laborer works on a salt pan in the outskirts of Nagaur district in the Indian state of Rajasthan.